If you set everything on fire, you won’t have enough firefighters. In crisis situations everything becomes a fire, or so it seems. Crisis management requires management to put an extra effort in prioritizing tasks and assigning them to the correct resources. The real challenge is that in many cases, the crisis situations stem from the very same management team charged with prioritizing, for not helping set priorities to the point that they started the fires. Here is the problem; when individuals are given multiple URGENT tasks simultaneously, studies have shown that they will likely complete the easiest ones first. Essentially, as a manager you have inadvertently relinquished all control to your team and their own logic for prioritizing. Unless you have a team of all-star performers, it is likely that tasks will not get done in optimum order, and in a worse case you may end up with many half-started tasks that never get completed. The manager’s job is to point the limited water cannons to the area where they can have the greatest impact. My method to prioritize, and how I’ve witnessed many successful managers prioritize successfully, is by setting a daily meeting with your team to review tasks and set priorities. By doing this, even when everything is urgent, you set the focus for your team, and you have full control over the execution. As the truly urgent tasks are being completed, you can then delay (or run interference) on the other tasks until your team is ready to take those on. Posted on Tuesday, March 10, 2015 by George R.
Great post George. I'm happy to find your blog. I've always said that organizations are full of arsonists. We reward firefighters over those who prevent the flames in the first place. Not only do firefighters get rewarded... sometimes even the arsonists! After working as an IT professional in 2 municipalities with firefighters, they are the extremely organized and ready to take on the task of firefighting. 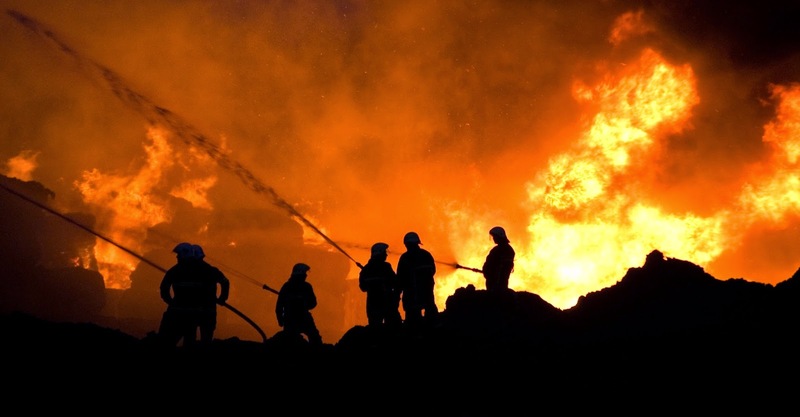 Many IT departments like to use the term "firefighting" ... and they are "firefighting" because they failed to plan next steps in a crises or organize effectively. Real firefighters have all normal fire emergencies planned out to the point that it is routine. To an outsider it is amazing to see firefighters jump into chaos and work as a team. As a firefighter attacking a crisis is routine. What firefighters also do is plan for fires outside the routine. They prepare as much as possible for these unexpected occurrences and will use incident command in times of crisis. Often what I see as "firefighting" mode in normal organizations is disorganized attempts to put out fires that were not properly planned for. This is the opposite of true firefighting.